Licensed by the South African Department of Health. Supported across 40 countries world wide. 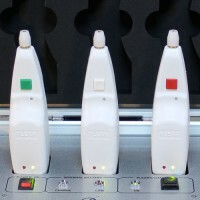 3 hand pieces in a docking station. Free and unlimited supply of consumable tips; no need to re-use or sterilize. Repeat use of tips discouraged. 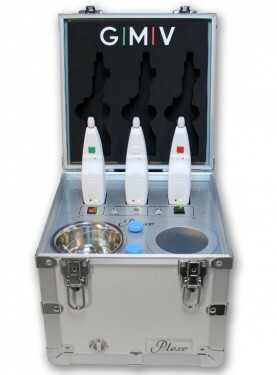 Docking station and hand pieces rechargeable. Plexr utilises plasma energy – plasma being the fourth state of matter; the first three being solid, liquid and gas. Simply put, Plexr utilises the difference in voltage between the device and a person’s skin. The difference in voltage generates a small electrical arc, or plasma discharge. 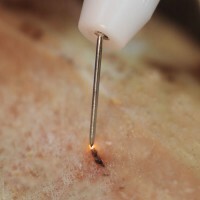 The discharge results in the sublimation of fluids contained in superficial parts of the skin, without any unwanted heat transmission to adjacent tissue. In other words, Plexr can turn the superficial layers of the epidermis into vapour, without causing thermal damage to adjacent tissues, preserving the deeper layers; and drastically reducing any potential permanent skin damage. Plexr is the first device of its kind in South Africa. Its technology is unique and unlike any other device on the market. Plasma is technically everywhere – so any device with as much of a spark can claim to be plasma technology, when it’s actually not. 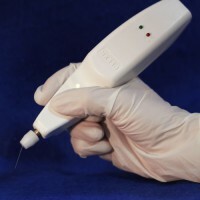 For example, there are devices that use radio frequency, or electro-cautery but market it as plasma technology, and these can pose a great danger. 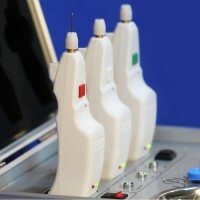 We encourage patients to ask the following of the doctor treating them: where is this device from; how long has it been in the market; who is it manufactured by and how long has the manufacturer been in the market; which countries is it sold in; does it have a CE mark; is it licensed by the South African Health Department; are there scientific studies on the device; is it backed up by universities or professors; how many doctors in south Africa use it; is there a long history of satisfied customers; are there any reports of cases gone wrong; are there satisfied doctors and patients you can speak to. If it doesn’t say Plexr, it’s not Plexr. For enquiries regarding training, purchases and general information, fill in the form and we’ll get back to you. Copyright © Plexr 2016. All Rights Reserved.